My husband and I both love to shop, which is not a good thing, and we have a hard time passing up a good deal. But we also have a tiny kitchen and really needed wanted some more shelf space. 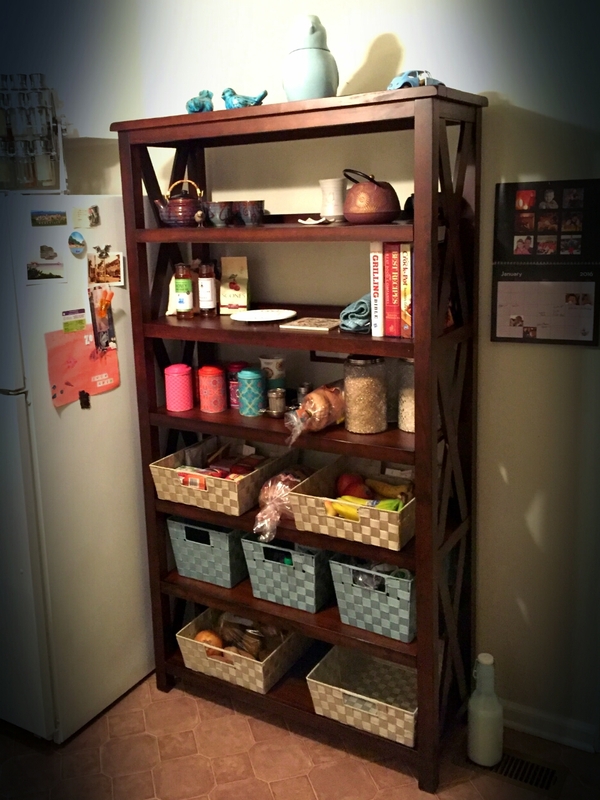 So when we saw that the bookshelf that we bought a year ago and that we love was more than half-off last week at World Market, we bought it. We are expecting someday we will have them both in the same room, but for now we are quite happy with our kitchen setup.